Supporters are asked to park at Worthing High School. 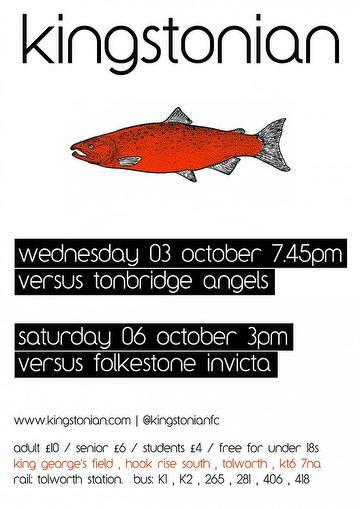 K's to play Tonbridge at King George's Field on Wednesday 7th November. K's will now visit the Tanners on Wednesday 31st October. The Tanners are in FA Cup action instead. Outstanding K's produce their best performance for ages and defeat the Invicta 4-1 at King George's Field. K’s game brought forward by an hour. Taimour Lay reports on an afternoon that should have been sweeter. Kingstonian's hard work nearly brings home all the points, but are punished by their inability to defend corners. Download Alex Beard's poster covering the forthcoming Tonbridge and Folkestone games. 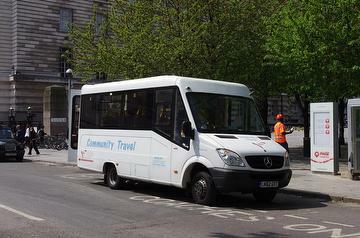 The KSC will be providing minibus transport to this Saturday's game against Whitehawk. Richard Coulthard has today launched his Kingstonian archive website.